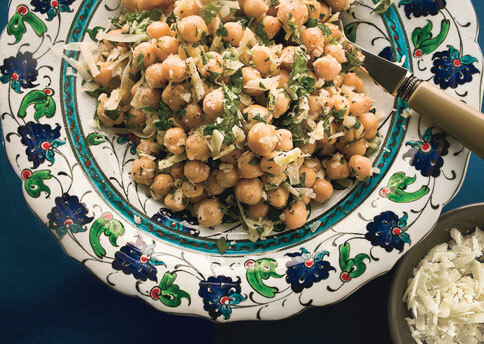 Chickpea Salad with Lemon, Parmesan, and Fresh Herbs: Recipe : bonappetit.com. This is one of those recipes that is little work but the pay off is fantastic. Basic ingredients and herbs make this refreshing for the summer and easy on the pocketbook. I’ve made this dish easily 10 times in the last couple of months. I like it so much I felt guilty not sharing. Hope you like it!